The return of Jelena #1: Justin Bieber And Selena Gomez dating? Miss Gomez and Mr Bieber have returned? Ever since Selena went through her Kidney Operation it seems as though both stars realized how important it is to keep close contact with your loved ones. It seems this incident brought Justin and Selena closer together to the point where it looks like they could slowly be a couple again. 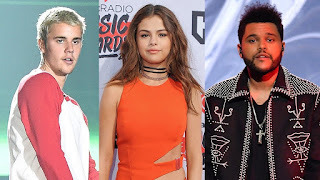 Ever since there break up, Justin has continuously said in interviews that he still loves her, Justin was upset to hear of the news regarding the surgery and also upset to not be told what was going on in Selenas life at the moment. Many fans of the stars want to see them back together, fans are also aware of the split between Selena Gomez and The Weeknd which is rumoured that the weeknd broke up with Selena by phone, reasons being the two stars having busy schedules. “Last night Justin, 23, and Selena, 25, – headed to a church service before a slap-up meal at Morton’s Steal House. Selena, who only recently announced her split from The Weeknd, looked happy and relaxed wearing a pair of jeans, a white jumper and casual loafers.